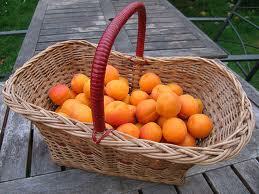 The flavour to start drooling about in September is Apricot– a flavour to savour because harvest is not til February. An easy to grow blossom tree that rewards you with yummy fruit that you can make into jam and desserts, or put in the dehydrater and dry whole or make into fruit leathers, or eat them fresh from the tree. 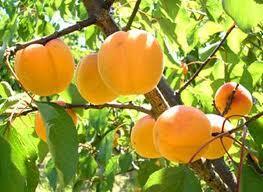 Tomcot is a new one that has an intense apricot flavour and grows on a nice compact tree. Sundrop and Trevatt are good old favourites that are suitable for the more moderate climate of Christchurch compared to Central Otago were they grow Moorpark. Katy Cot and Garden Annie are semi-dwarf varieties for the smaller garden, or dwarf Aprigold for courtyards and containers. Fitzroy is another sweet, tasty, medium size golden fruit that is suitable for a warm climate. It’s a consistent and heavy cropper that matures in February. 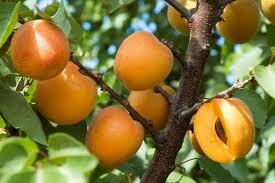 Most apricots are self pollinating; hence one tree will fruit well by itself. The best time to prune them is late summer. Treat pruning wounds with a pruning paint to prevent disease getting in. In Europe, apricots were long considered an aphrodisiac, and were used in this context in William Shakespeare‘s A Midsummer Night’s Dream, and as an inducer of childbirth, as depicted in John Webster‘s The Duchess of Malfi. Research shows that of any food, apricots possess the highest levels and widest variety of carotenoids, Carotenoids are antioxidants that may help to prevent heart disease,reduce “bad cholesterol” levels, and protect against cancer. This entry was posted in Autumn, Fruit, Spring, Trees. Bookmark the permalink.